Top 3 Reasons Why Paying Taxes With Your Credit Card Isn’t a Good Idea? So you wish to fulfill your obligation of being a good American citizen and are thereby planning to pay your taxes on time. Great! But if the thought of paying taxes through your plastic money has crossed your mind, beware! Additional Convenience Fee – IRS contracts few companies to deal with the payments they receive through credit cards, however these companies are not paid by the government for their services. Consequently, it’s you, the tax payer, who has to pay for their services. The convenience charge usually varies between 1.9% and 2.35% and depends on the credit card you are using, as well as the company you approach to make the payment. The company names along with the rates charged by them are given on the IRS website, here. For instance, a tax bill of $1000 can cost you a convenience fee of around $23.50, and this is excluding the interest rate that will be charged by your credit card company. So, unless there really is no alternative and you are stuck in a financial emergency, credit card payment to pay taxes doesn’t make much sense. In a dire financial need, however you will be happy to know that your convenience fee is exempted from tax. This tax deduction is allowed only until a limit of two percent, so make sure you discuss this with your tax preparer before you proceed. Interest May Accrue on Your Tax Payment – It’s common knowledge that if you do not pay your credit card bill due to any reason or simply forgets to pay it, within the grace period, interest on your tax would accrue over time, adding onto your misery. So, you will pay for your convenience fee, enormous interest rate of the credit card company, plus your tax amount. You will not even know when the next year arrives, and it will be time to make the tax payments again! Agree, some credit cards do provide you introductory offer like zero percent APR for the initial one year but still you will be paying the convenience fee extra. Aren’t the taxes that we already pay enough? It May Signify a Warning to Your Credit Card Issuer – This may or may not be true for you but paying taxes through credit cards often leave an impression that you are undergoing a financial crisis. As a result, you are suddenly viewed as a credit risk. It reduces the amount available in your credit limit. 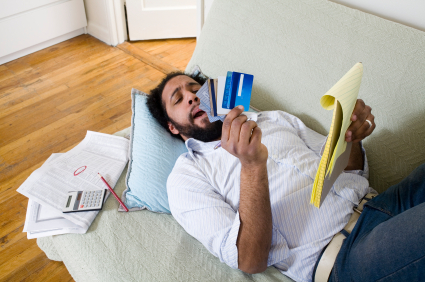 The revolving utilization ratio on your card also decreases that impacts your credit score. Due to this, your card issuer becomes finicky about your credibility of paying their bills on time. Consequently, you may have to bear their unjustified actions, like decrease in your credit limit, increased APR, et al. Hence, if by any chance you may have to make a credit card payment for your taxes, make sure that you pay them off without any delay to dispel the apprehension of your issuer. In a nutshell, the cons of paying taxes with credit cards far outweigh the benefits they offer. It is thereby advisable to prefer the usage of other modes of payment to pay off your taxes and discard plastic money unless you have no other option left with you.